At Garage Door Repair Lake Oswego, we understand that everyone’s needs vary from house to house. When you turn to us for service, we always adapt our services to suit your needs. We have a lot of services that we offer to homeowners with garages. If you need repairs or installation of any part, from cables and tracks to openers, call our professional garage door company. With the help some of the most talented and highly skilled technicians in the area, we are able to effectively provide our customers with the help they need. You can save yourself time and money by calling us for all of your garage door service needs. When you have a family to protect, we are here to help you do this. Our job is to keep your garage door running like new. We are able to accomplish this through our maintenance program. If you are not already familiar with our maintenance program, let us discuss it with you. 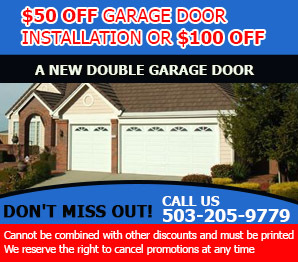 We are proud of the reputation we have built for ourselves at “Garage Door Repair Lake Oswego”. It is our aim to maintain our reputation by continuing to offer you the same level of quality service that got us here. If you want to know how a truly professional service can change your garage and appeal of your home, call us. When you’re calling us, we know that you are expecting to receive the same level of professional service that sets us apart from our competition. We always deliver the same level of high quality service that we are known for. You always receive the best service possible whenever our technicians take care of your springs, install your new automatic opener, clean your rollers and handle your overall garage door maintenance. When we are on the job, you can be sure that the job will be done right. We have everything to lose and you have everything to gain. Why not give us the chance to show you why so many in the area continue to rely on us for their garage door needs. This doesn’t happen by accident. We have worked hard to become the premier service provider. We let our services speak for themselves.